Thank you for considering giving a gift to the Department of Electrical and Computer Engineering. 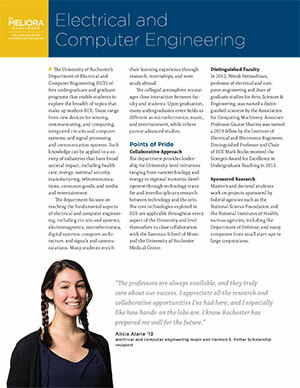 Your support of the department enriches our students’ academic experience, enables advances in cutting-edge research, and encourages innovation and discovery in electrical and computer engineering. You can donate to the department online by selecting “Dean’s Fund for Electrical and Computer Engineering” under “Choose where you’d like to designate your gift” on this secure online form.